In Sikhism, a specific tradition of Shabad Kirtan has been prescribed with the sole mission of disseminating the holy message of Shri Guru Granth Sahib. The entire musicology of this tradition follows the music tenets of Shri Guru Granth Sahib, which has been established with a view to spread the message of the shabad so widely as to cover the whole mankind. We can define this music as Gurmat Sangeet or Musicology of Sikh Music.Based on the main motive of carrying across the message of the Divine Gurbani through the cosmic language of music, to the vast sea of humanity irrespective of caste or creed, the Sikh musicology distinguishes itself from the other musical traditions of India, or the world for that matter, due to its character of originality. We can identify Sikh musicology from the Shabad Kirtan composed according to the Sri Guru Granth Sahib based music pattern and prevailing original and practical tradition. 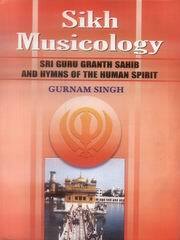 It is with this purport in view that the author of this book, for the first time, has endeavoured to highlight the importance of shabad Kirtan in accordance with the established tradition of sikh musicology by composing and singing the 31 Raagas and 31 Raaga-forms from Shri Guru Granth Sahib. The musical notations of these 62 raagas compositions are being included in this book. These compositions do not, nevertheless, now remainhidden as Musical notations but have transformed into an audio recording in the form of 10 cassettes and 6 C.Ds by RPG-HMV. DR. GURNAM SINGH has made a commendable contribution to the world of music by enriching it with 14 original books, 25 edited books, 27 research papers and also several musical compositions, signature-tunes and by giving background music. As an approved Radio artist, he has added 14 audio and 2 video cassettes and many musical compositions to the world of music. He has plated a great role in getting Gurmat Sangeet recognised as an independent subject by the Punjabi University, Patiala and Guru Nanak Dev University, Amritsar, Punjab, India. Bibliographic Information: xii + 285p. Append.